Blade type LTE 700-960/1700-2700MHz Dipole Antenna, 1-3 dBi with SMA Male/plug . 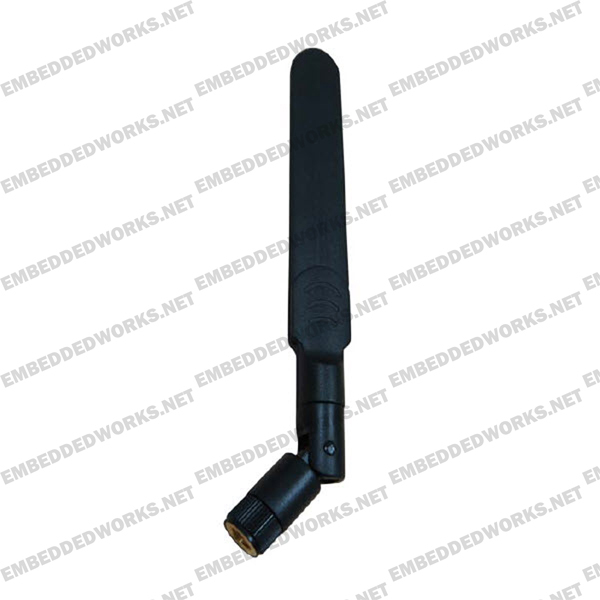 This antenna is ideal for indoor use with LTE routers (2 are required for LTE MIMO), and also with 3G frequency bands as well. The frequency bands cover USA LTE bands from the US carriers, as well as all of the global bands for 3G technology from all carriers and have great gain-flatness across all the usable bands. The antenna can also be used for the 2.4Ghz Wifi band as well, offering good performance up to 3dBi in that band as well.